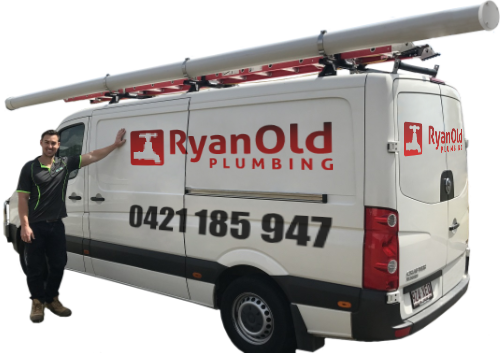 Ryan Old Plumbing can take care of all your blocked sewer pipe problems throughout Brisbane and surrounding areas. Our team of experienced, licensed plumbers can quickly find the sewer blockage, clear the drain, and carry out repairs. Sinks, shower, bath, and toilet are slow to drain. An unpleasant or nasty smell coming up from the drains. Bubbling or gurgling sounds when you flush the toilet or run water in the sink. Water overflows up into the sink, floor drain, or bath when the washing machine is on. If you’re experiencing any of these issues contact your plumber before the drains completely block up. 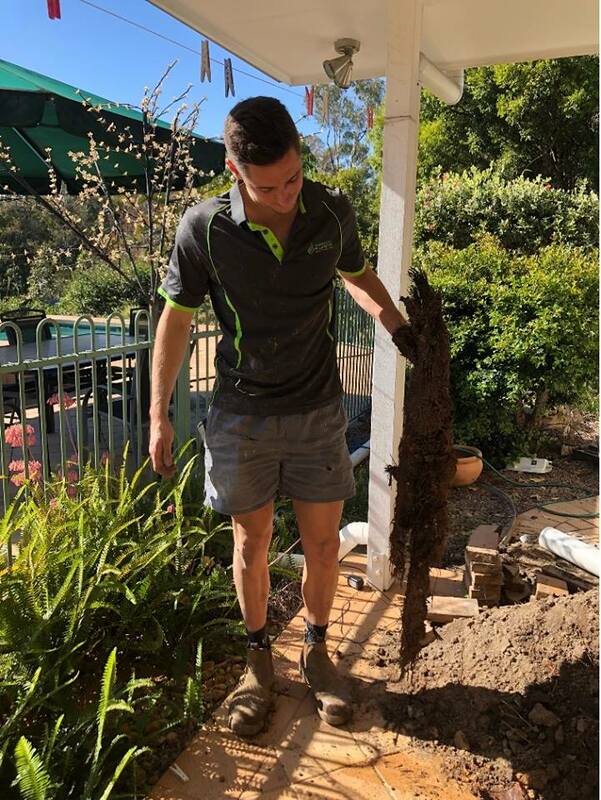 Tree roots usually live buried down in the ground, where they absorb water and important nutrients from the surrounding soil. Another ample source of water and nutrients can be found in your home sewer line. A tiny crack in the drain is all that is required to allow tree or plant roots access into your drains. If a single tree root finds its way into the pipe, the roots will quickly grow, utilising the abundant food and moisture supply found there. Unless the sewer is cleared and roots cut away they will eventually completely block the sewer line, creating a substantial problem for your home or business. Our plumbers specialise in finding the cause of the blocked drain, detecting the exact location and carrying out the necessary clearing and repairs. We do this using the following methods. We use a specialist CCTV drain camera to determine the location and composition of the blockage. Drain cameras can also be used to get a clear picture of the condition of your sewer, drains, and pipes. This equipment can quickly identify drains which have subsided, cracked, shattered or are broken. Furthermore, this device can help eliminate the need for extensive digging or excavation throughout your property. Our CCTV plumbing inspection camera can be used to assess and inspect all sizes of pipes and sewer drains. Once the drain inspection is complete our plumbers can advise you on the best plan of action to clear and repair the drain. A jet rodder is a device which is used to clear drains and blockages in pipes, as well as sewer cleaning, using a high-pressure water jetting system. This can be used in diverse ways including unblocking toilets, clearing the sewer and stormwater drain. This water-based method, due to its hydro jet high-pressure 500psi force, can cut through all types of blockages and is gentler on the pipe structure and existing groundwork than the older electric eel system. Jet rodding is a very effective way to clear a blocked sewer line. What can you do to prevent sewer blockages? The most efficient way to prevent any huge problems caused by blocked sewers is to carry out routine drain inspections. A comprehensive drain inspection can identify possible frail spots, breaks and cracks in the pipe as well as any developing blockages or problem areas in the drain line. Don’t let a blocked sewer become a big problem in your home or business. Ryan Old Plumbing’s team of professional plumbers can find, diagnose, clear, and repair your sewer blockage today. Contact our team at 0421 185 947 or complete our online blocked sewer drain repair service now.